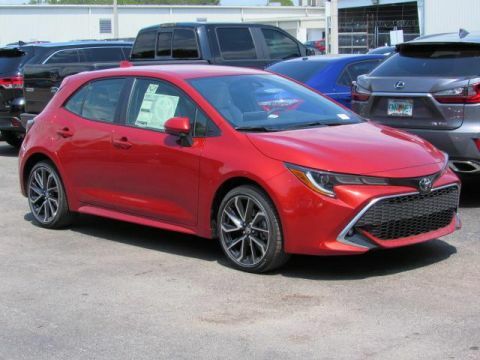 Our 2019 Toyota Corolla SE Hatchback is brought to you in a great looking Smoked Paprika Metallic. 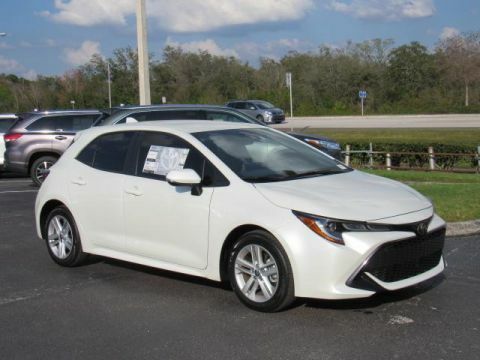 Powered by an innovative 2.0 Liter 4 Cylinder that offers 168hp while paired with a fun to drive 6 Speed Manual transmission for the ultimate in road control. Our Front Wheel Drive SE serves up a fresh driving experience, and you will admire near 42mpg on the open road delivering a dash of boldness with its aggressive honeycomb mesh grille, rear spoiler, piano black accents, and great looking alloy wheels. Climb inside our SE and check out the touchscreen audio display, dual zone climate control, sport fabric-trimmed cloth seats, steering wheel mounted controls and other amenities that make each day that much better! Toyota Safety Sense gives you peace of mind as you make your way, offering a wealth of advanced features including airbags, a pre-collision system, lane departure alert, and automatic high beams. Engineered to meet the demands of your active lifestyle, our SE is a spectacular choice you've got to see for yourself! Print this page and call us Now... We Know You Will Enjoy Your Test Drive Towards Ownership! 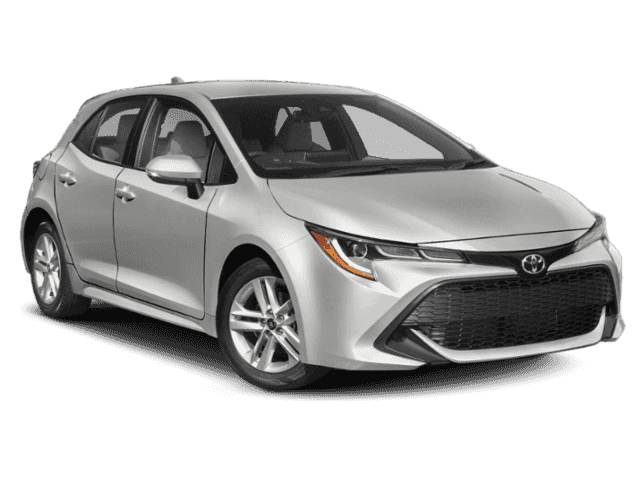 Our 2019 Toyota Corolla SE Hatchback is brought to you in a great looking Classic Silver Metallic. Powered by an innovative 2.0 Liter 4 Cylinder that offers 168hp while paired with a swift CVT for instant passing with the Sport Mode. Our Front Wheel Drive SE serves up a fresh driving experience, and you will admire near 42mpg on the open road delivering a dash of boldness with its aggressive honeycomb mesh grille, rear spoiler, piano black accents, and great looking alloy wheels. 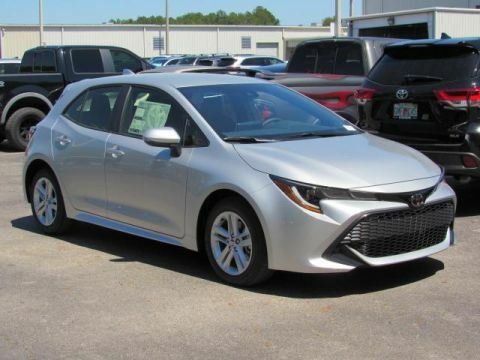 Climb inside our Corolla SE and check out the touchscreen audio display, dual zone climate control, sport fabric-trimmed cloth seats, steering wheel mounted controls and other amenities that make each day that much better! Toyota Safety Sense gives you peace of mind as you make your way, offering a wealth of advanced features including airbags, a pre-collision system, lane departure alert, and automatic high beams. Engineered to meet the demands of your active lifestyle, ours is a spectacular choice you've got to see for yourself! Print this page and call us Now... We Know You Will Enjoy Your Test Drive Towards Ownership! 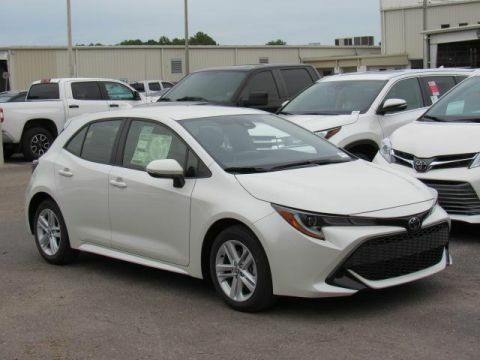 Our 2019 Toyota Corolla SE Hatchback is brought to you in a great looking Blizzard Pearl. Powered by an innovative 2.0 Liter 4 Cylinder that offers 168hp while paired with a swift CVT for instant passing with the Sport Mode. Our Front Wheel Drive SE serves up a fresh driving experience, and you will admire near 42mpg on the open road delivering a dash of boldness with its aggressive honeycomb mesh grille, rear spoiler, piano black accents, and great looking alloy wheels. 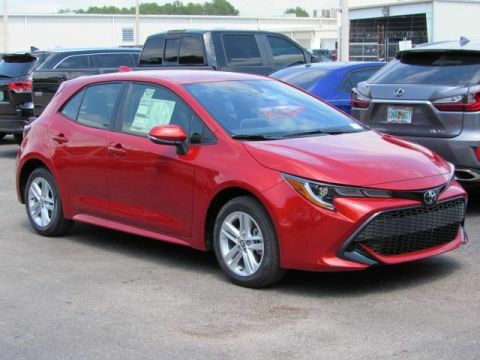 Climb inside our Corolla SE and check out the touchscreen audio display, dual zone climate control, sport fabric-trimmed cloth seats, steering wheel mounted controls and other amenities that make each day that much better! Toyota Safety Sense gives you peace of mind as you make your way, offering a wealth of advanced features including airbags, a pre-collision system, lane departure alert, and automatic high beams. Engineered to meet the demands of your active lifestyle, ours is a spectacular choice you've got to see for yourself! Print this page and call us Now... We Know You Will Enjoy Your Test Drive Towards Ownership! 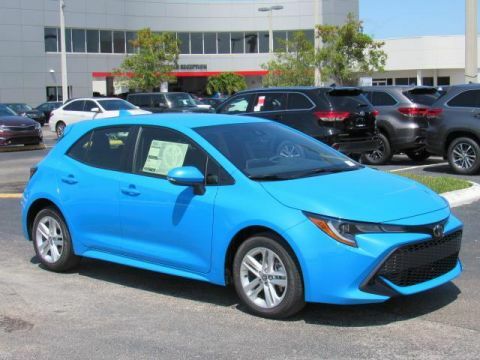 Our 2019 Toyota Corolla SE Hatchback is brought to you in a great looking Blue Flame. Powered by an innovative 2.0 Liter 4 Cylinder that offers 168hp while paired with a swift CVT for instant passing with the Sport Mode. Our Front Wheel Drive SE serves up a fresh driving experience, and you will admire near 42mpg on the open road delivering a dash of boldness with its aggressive honeycomb mesh grille, rear spoiler, piano black accents, and great looking alloy wheels. 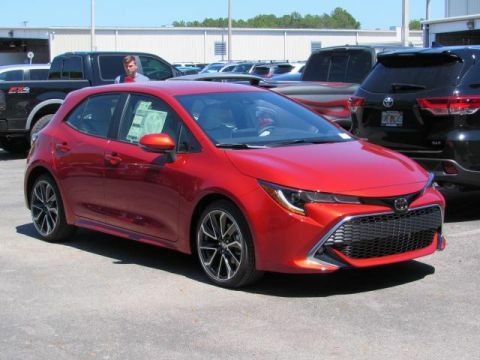 Climb inside our Corolla SE and check out the touchscreen audio display, dual zone climate control, sport fabric-trimmed cloth seats, steering wheel mounted controls and other amenities that make each day that much better! Toyota Safety Sense gives you peace of mind as you make your way, offering a wealth of advanced features including airbags, a pre-collision system, lane departure alert, and automatic high beams. Engineered to meet the demands of your active lifestyle, ours is a spectacular choice you've got to see for yourself! Print this page and call us Now... We Know You Will Enjoy Your Test Drive Towards Ownership! 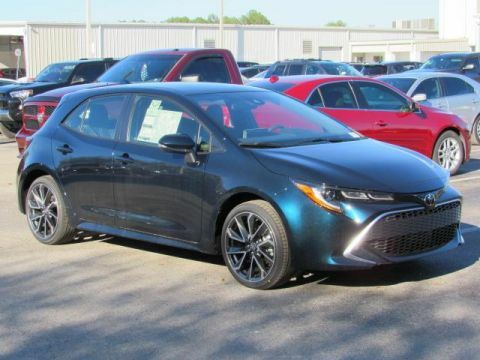 Our 2019 Toyota Corolla XSE Hatchback is brought to you in a great looking Galactic Aqua Mica. Powered by an innovative 2.0 Liter 4 Cylinder that offers 168hp while paired with a fun to drive 6 Speed Manual transmission. Our Front Wheel Drive serves up a fresh driving experience, and you will enjoy near 42mpg on the open road. This XSE delivers a dash of boldness with its aggressive honeycomb mesh grille, rear spoiler, piano black accents, and great looking alloy wheels. Climb inside our XSE and check out the touchscreen audio display, dual zone climate control, sport fabric-trimmed cloth seats, steering wheel mounted controls and other amenities that make each day that much better! Toyota Safety Sense gives you peace of mind as you make your way, offering a wealth of advanced features including airbags, a pre-collision system, lane departure alert, and automatic high beams. Engineered to meet the demands of your active lifestyle, our XSE is a spectacular choice you've got to see for yourself! Print this page and call us Now... We Know You Will Enjoy Your Test Drive Towards Ownership! 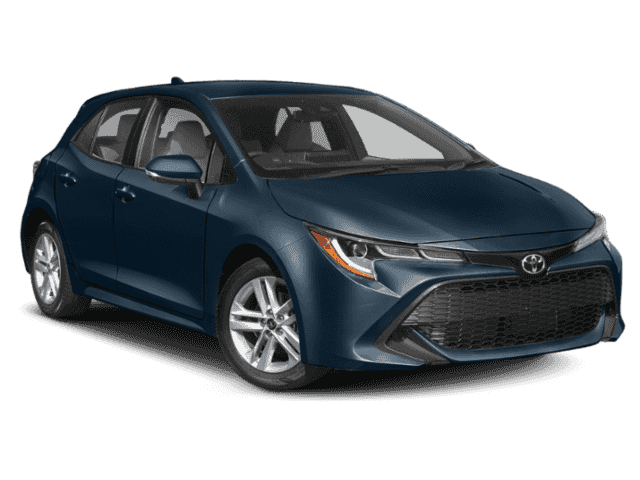 Our 2019 Toyota Corolla XSE Hatchback is brought to you in a great looking Smoke Paprika Metallic. Powered by an innovative 2.0 Liter 4 Cylinder that offers 168hp while paired with a fun to drive 6 Speed Manual transmission. Our Front Wheel Drive serves up a fresh driving experience, and you will enjoy near 42mpg on the open road. This XSE delivers a dash of boldness with its aggressive honeycomb mesh grille, rear spoiler, piano black accents, and great looking alloy wheels. Climb inside our XSE and check out the touchscreen audio display, dual zone climate control, sport fabric-trimmed cloth seats, steering wheel mounted controls and other amenities that make each day that much better! Toyota Safety Sense gives you peace of mind as you make your way, offering a wealth of advanced features including airbags, a pre-collision system, lane departure alert, and automatic high beams. Engineered to meet the demands of your active lifestyle, our XSE is a spectacular choice you've got to see for yourself! Print this page and call us Now... We Know You Will Enjoy Your Test Drive Towards Ownership! 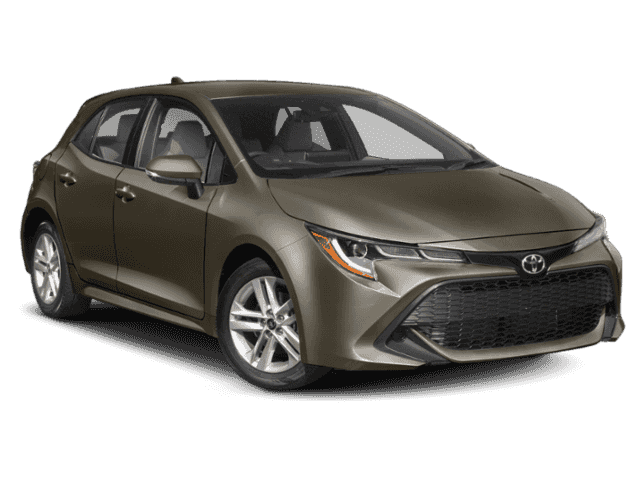 Our 2019 Toyota Corolla XSE Hatchback is brought to you in a great looking Smoke Paprika Metallic. Powered by an innovative 2.0 Liter 4 Cylinder that offers 168hp while paired with a swift CVT for instant passing with the Sport Mode. Our Front Wheel Drive serves up a fresh driving experience, and you will enjoy near 42mpg on the open road. This XSE delivers a dash of boldness with its aggressive honeycomb mesh grille, rear spoiler, piano black accents, and great looking alloy wheels. Climb inside our XSE and check out the touchscreen audio display, dual zone climate control, sport fabric-trimmed cloth seats, steering wheel mounted controls and other amenities that make each day that much better! Toyota Safety Sense gives you peace of mind as you make your way, offering a wealth of advanced features including airbags, a pre-collision system, lane departure alert, and automatic high beams. Engineered to meet the demands of your active lifestyle, our XSE is a spectacular choice you've got to see for yourself! Print this page and call us Now... We Know You Will Enjoy Your Test Drive Towards Ownership! New vehicle pricing includes all offers and incentives. Tax, Title, Tags and $899.95 Dealer doc fee not included in vehicle prices shown and must be paid by the purchaser. Special APR in lieu of dealer cash. All discounts from Stadium Toyota. While great effort is made to ensure the accuracy of the information on this site, errors do occur so please verify information with a customer service rep. This is easily done by calling us at (813) 305-3175 or by visiting us at the dealership.